The Master of Arts program in History at Sam Houston State University serves students interested in secondary teaching, professional programs, the military, civil service, public history, two-year college faculty positions, as well as those aspiring to a Ph.D. At present, more than 110 graduate students are pursuing the degree, which may be taken entirely online or through a combination of online courses and traditional classroom seminars in Huntsville or The Woodlands. The Department of History has 22 full-time faculty members with strong records in teaching and publishing in a wide variety of fields. The Master of Arts program in History at SHSU prepares students to research and write about our past in order to become producers of history and inform our present. The History Graduate program at SHSU provides students with ample opportunities for faculty-student engagement and at the same time allows students to pursue topics within broad geographical, chronological, and thematic fields. Students receive an education that provides them with graduate level reading, analytical writing, critical thinking skills that are relevant in the modern world well beyond academia. This rich educational environment not only prepares students for careers in education and civil service, but also teaches and hones skills that are highly valued in the business world. 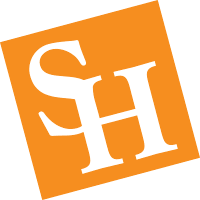 Students aspiring to Ph.D. programs in History are also well served at SHSU, as some of our top students have gone on to study at highly prestigious universities. Students select one of the following tracks, which represent mainstays of the human experience. Each track transcends time and space, inviting students to ask thematic questions and to build connections between courses and historiographies. Rights & Identity: Students explore how individuals and collectives have conceived of sovereignty, space, and self in various cultures and societies. Throughout history, how have humans conceptualized ideas about race, ethnicity, gender, and sexuality? How are rights negotiated, contested, or mediated by the state? From the Reformation to the ongoing African-American freedom struggle in the U.S., from the women’s suffrage movement to environmentalism and other social movements, human history has revolved around fundamental questions of rights and identity. War & Violence: War and violence have been mainstays of human history. Students examine how various societies throughout history have experienced, conducted, and remembered military conflict, mass killing, and genocide. How has the conduct of war changed over time? What are the human, emotional, and cultural consequences of war? When and why do societies resort to armed conflict? Encounters & Exchanges: Students examine the themes of encounter and exchange throughout history. Cross-cultural encounters have been central to the human experience since antiquity and have sometimes manifested themselves on the large scale, as is event with the Silk Roads, the Atlantic Slave Trade, and, most recently, globalization. Trade, missionary activity, and imperialism are other avenues by which the world’s diverse peoples have interacted. If you have additional questions, please see the links for prospective or current students. Alternatively, you may contact the History Department's Graduate Director.